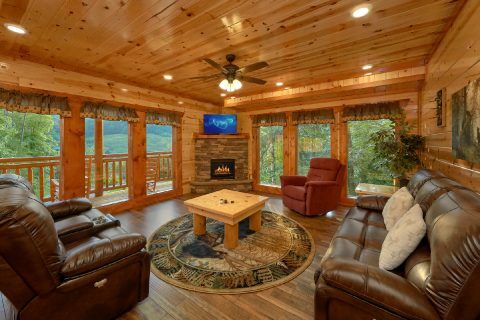 Come experience this beautiful 6 bedroom cabin that sleeps up to 16 guests in comfort in the Great Smoky Mountains of Tennessee! 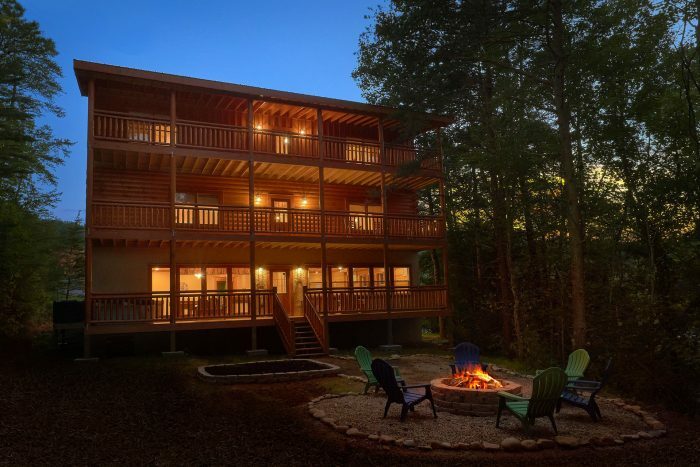 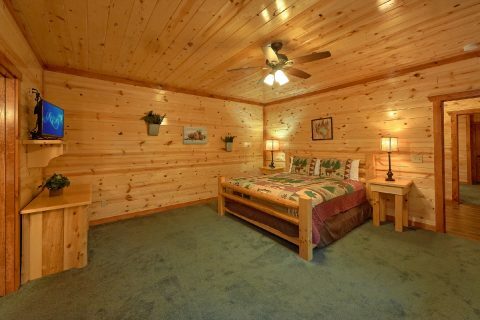 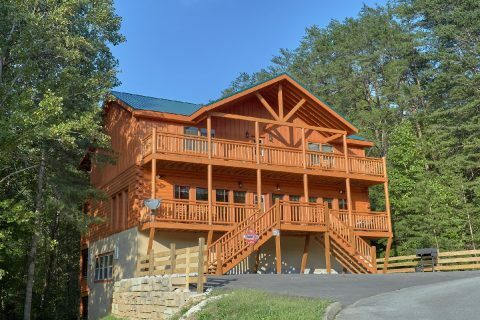 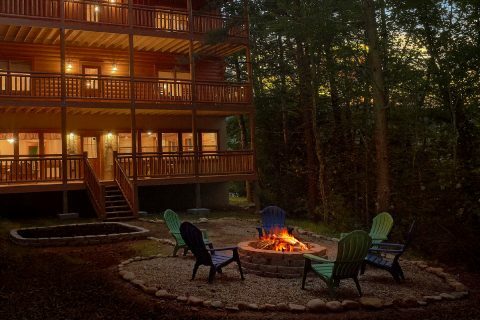 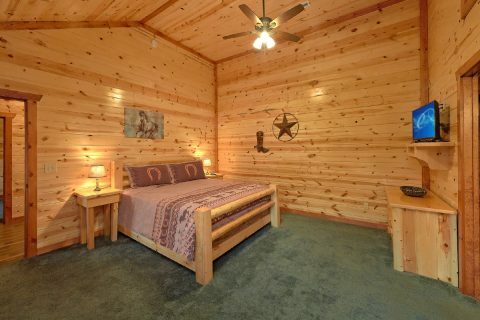 Located in the "On Higher Ground" Resort area in Sevierville, "Amazing Grace" is an excellent luxury cabin that boasts everything you need for an unforgettable getaway in Pigeon Forge. 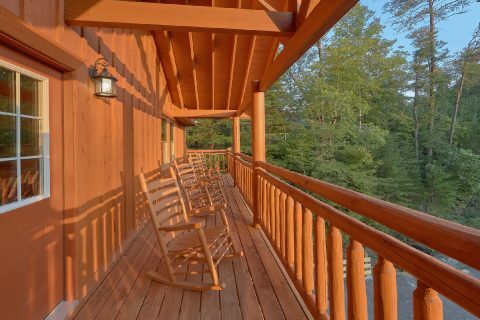 With a prime location that's only 5 miles from the Pigeon Forge Parkway, you'll have quick access to dozens of attractions, shops, and restaurants in Downtown Pigeon Forge. 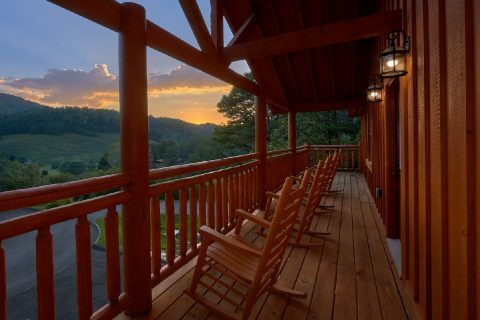 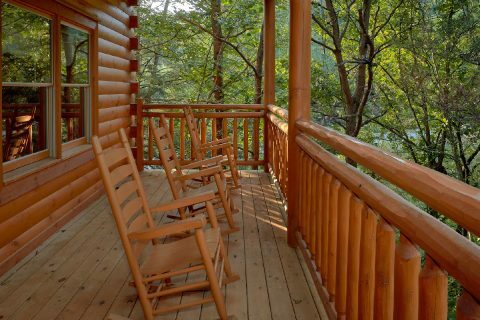 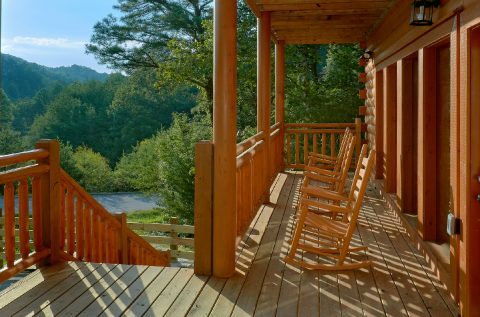 Additionally, Wears Valley and the Great Smoky Mountains National Park are only a short drive away from this cabin, so you can easily experience the beauty of the Smokies. 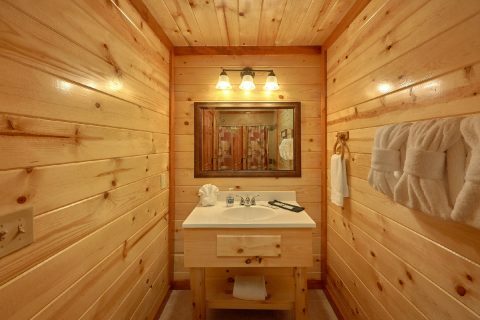 Better yet, you can look forward to spending time in this premium cabin that has everything you need to unwind. 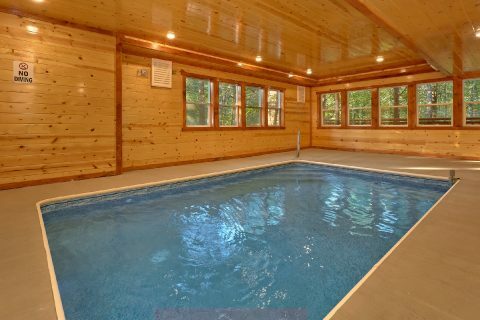 From its private indoor swimming pool that offers year-round swimming to its theater room for watching your favorite films, you'll find plenty of ways to unwind in this premium cabin. 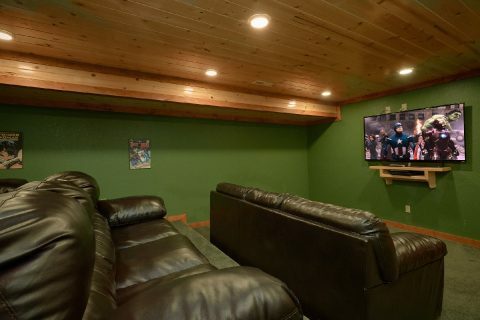 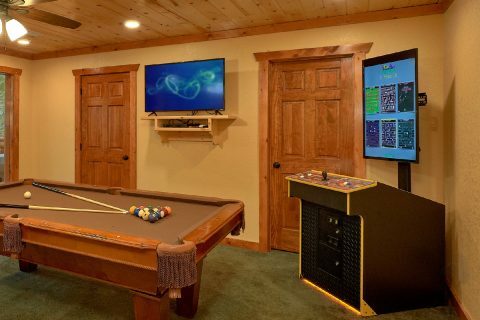 This cabin's game room also offers the perfect space to enjoy quality time with friends and family while you play billiards or an arcade game. 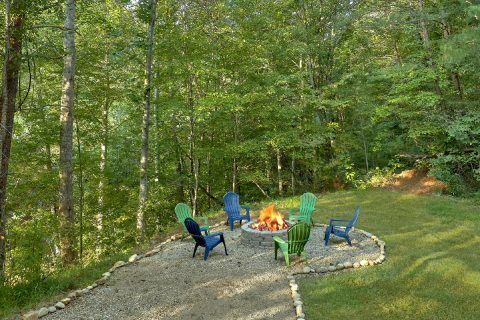 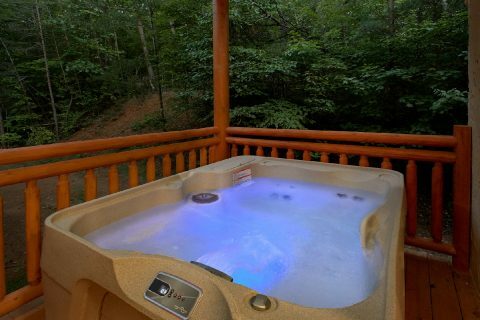 For relaxing in the great outdoors, you can look forward to unwinding in this cabin's hot tub on the lower deck or gathering around the outdoor fire pit while you gaze up at the Smoky Mountain night sky. 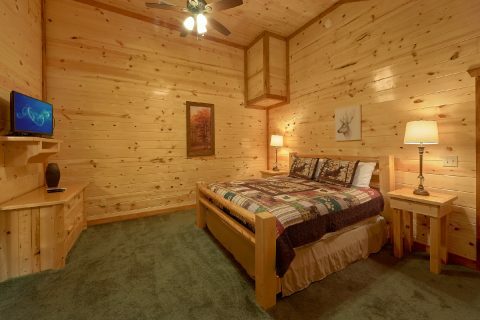 Once it's time to get some rest, you can look forward to sleeping in one of this cabin's 6 bedrooms. 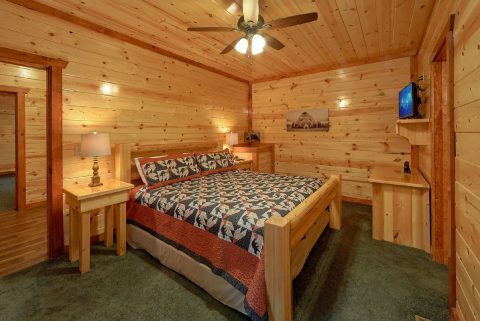 The main level features two private king-size bedrooms. 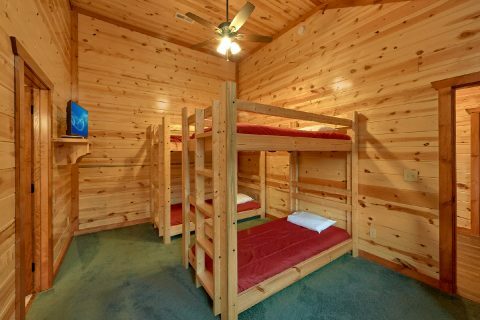 Upstairs, you'll find 3 king bedrooms and another bedroom with two sets of twin-size bunk beds. 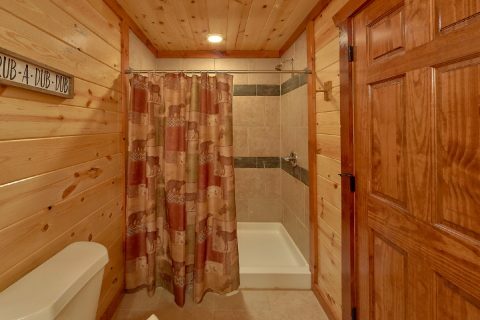 Each room provides a private bathroom. 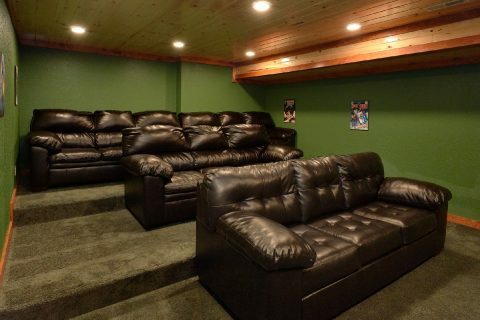 There's also a sleeper sofa in the theater room to accommodate extra guests. 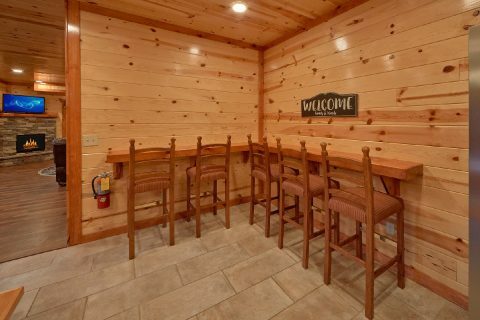 Additionally, "Amazing Grace" provides practical amenities like a full kitchen, an electric fireplace, a charcoal grill, and WiFi Internet for you to use during your stay. 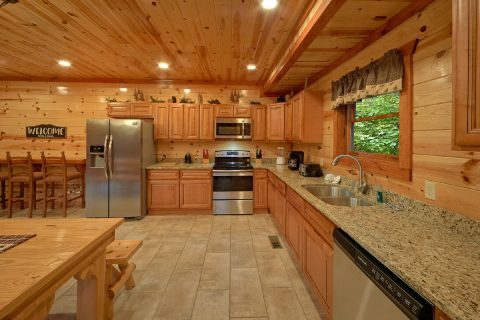 Best of all, you can reserve this luxury cabin today with Cabins USA Gatlinburg and save 15% with our special discount rate!